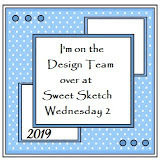 Here we are into March and it's time for another sketch over at Sweet Sketch Wednesday 2. I used Viola Ants which I had as a freebie before Brussels brought in the VAT rules for digital images. You got the papers and everything. I really enjoyed playing with this set as it is so springlike and I think we are all ready for a bit of spring up here in the Northern Hemisphere. Do head over to the blog where you can see how fabulous this looks twisted too. I hope you can manage to play along with us, remember new for 2016 we get 2 weeks to play. Love the purple and yellow theme, Anne. 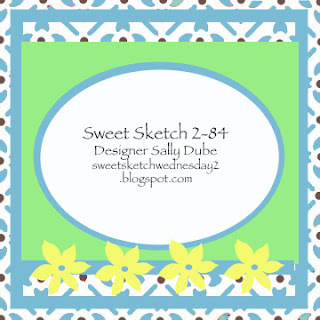 Everything from your papers to your image and embellishments matches so well. Darling image and a darling card! Hi Anne, great image, colours and papers, really lovely card. Funny you posted this yesterday and spoke of Spring and what did we get today.... snow, please don't mention Spring again. A super creation Ann and a beautiful Pansy, many thanks for joining us at Allsorts challenge this week. Oh Anne, this sure is gorgeous!!! The papers sure are fantastic as is the adorable ants and flower. Doodle Pantry Ants are my favourite characters! Love the flowers and background paper. 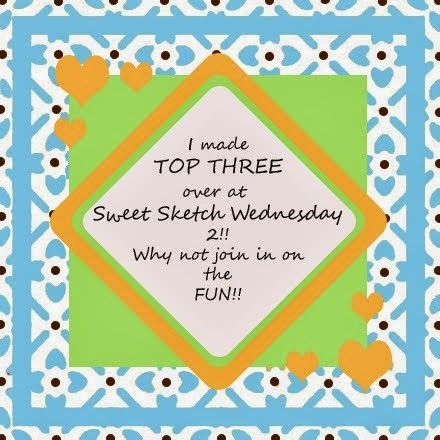 Thanks for joining us for AIMPDC #15 (we're happy to sponsor Sweet Sketch Wednesday 2!) and we hope to see you again! Dawn Doodle Pantry DT.